S. Mahdi Husain. Aakar Books, Delhi. Pages. IXIX + 451. Rs 800. This new edition is a reprint of the book brought out by the author in 1958. Next year, the country is going to celebrate the 150th centenary of what has been called the ‘Indian Revolt of 1857’. To celebrate the occasion, a spate of literature is likely to be published by way of biographies of individuals, who had played a vital role in the events connected with the revolt or on some issues connected with it. As is usual with such celebrations, the general tone of the works is likely to be laudatory. Virginia Woolf once spoke of the ‘fear which attacks the recorder of centenaries lest he should find himself measuring a diminishing spectre and forced to foretell in approaching dissolution.’ We must make a distinction between government propaganda and the reality of historical facts. The author S. Mahdi Husain is a noted historian whose works on the medieval period are widely acclaimed. The present book is divided into two parts—the first containing the text, and the second, relating to some important primary source-material on the 1857 events. A modest bibliography is also appended. The impulse to the writing of the biography of Bahadur Shah originated from the controversy that had aroused between the author and the doyen of historians, Dr R. C. Majumdar. The author wrote an article, Emperor Bahadur Shah II and his Role in the War of 1857, in Amrit Bazar Patrika, November 18, 1956. 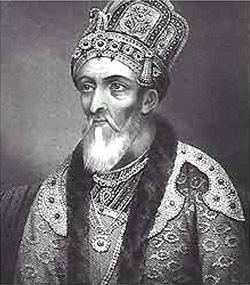 In this article, Husain had emphasised that Emperor Bahadur Shah was a staunch patriot. Fired by a passionate zeal, he fought for the freedom of his country from the fetters of foreign rule. Husain also maintained that the War of 1857 was the war of independence and not a mere sepoy revolt, as is commonly known. Ten days later, on November 28, 1956, Majumdar, contesting Husain’s views rebutted that only one epitaph fitted suitably to Bahadur Shah, and that was treachery. In other words, Bahadur Shah was a traitor who betrayed the sepoys. Husain took Majumdar’s criticism as a challenge and brought out this comprehensive work on Bahadur Shah. In the first chapter, Husain draws a vivid and sensitive portrait of Bahadur Shah. He presents him as a versatile Urdu and Persian poet, a sound scholar, a highly cultured and sophisticated man, catholic and generous, a dashing warrior, a fine calligraphist and a follower of Dara Shikoh and his great grandfather Akbar’s policy of tolerance and goodwill towards non-Muslims, and one of the finest representatives of composite culture in the history of India. In his account, Husain does not say anything startlingly new about Bahadur Shah, but says about him what is already known. He draws mainly from Percival Spear’s romantic representation of Bahadur Shah, which he had projected in his Twilight of the Mughals. Husain has a tendency of indulging in speculations and abstractions, while making sweeping generalisations. He maintains that Bahadur Shah had made an offer to the Princes that if they joined him in fighting the British, he would be willing to abdicate and give his authority to them. This is highly hypothetical. The simple question is to ask what authority he had during the revolt to transfer it to the Princes , and how? The author poses a serious problem for the reader because while discussing Bahadur Shah’s conduct in the War of 1857, he makes no distinction between Bahadur Shah’s ideas and beliefs on one side, and his actual actions on the other. There is no denying the fact that like his father, Bahadur Shah was disenchanted with British authorities, and complained to them about their indifference to his grievances. However, it must not be overlooked that he was a British pensioner, closely watched and controlled by the British in Delhi, and continually supplicating the East India Company for the enhancement of his status and increase in his annual pay. Bahadur Shah was overpowered by the mutineers, and did whatever they wanted him to do. He had absolutely no heart in the struggle that was being waged by brave sepoys. About Bahadur Shah’s rule, the Judge Advocate, Major Harriott noted: "Fairly launched into the stream of sedition, he is hurried onward by the swollen head." From chapters VI to IX, Husain tries to build up the thesis that Bahadur Shah had set up an independent civil and military court, and was desperately engaged in fighting the British by appealing to the Princes to join him and exhorting the sepoys to expel the British troops from the Ridge in Delhi. However, the author forgets the other side of the coin. The sepoys had been expelled at the battle of Badli and Najafgarh. Addressing the sepoys, Bahadur Shah said: "The royal treasury is empty, without a penny. I have no hope for victory. My desire is, you leave the country." After reading this work, the reader cannot say whether Bahadur Shah was a traitor, martyr or a victim of unsmiling fortune. The entire study is tendentious, and disjointed, without analysis, though full of ample information on the 1857 events.